Seneca Ultra-Fiber Compound Bows. A Price That's Easy To Handle. Performance That's Hard To Forget. Seneca Outdoor built a superior, lightweight bow for youth and female archers. The young company's start-up difficulties made it hard for this good idea to gain firm footing in the market. 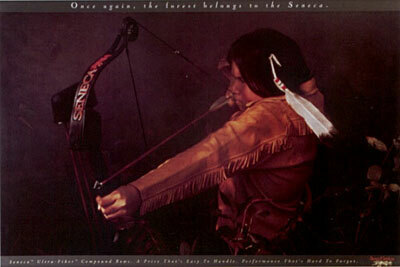 Eventually it was sold to industry giant Hoyt Archery. I guess the forest didn't belong to them for long.